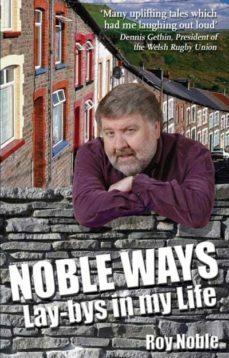 Known throughout Wales for his gentle self-deprecating sense of humour and brilliant TV and radio broadcasts, BBC presenter Roy Noble guides us through the "lay-bys" of his life; his warm, loving fifties Brynaman childhood; his college and teaching days; and his ultimate success in that most difficult of careers - showbusiness. A beautiful and entertaining depiction of the life of a truly extraordinary and much loved Welshman who has enriched the daily lives of millions. We meet his family and friends, the ordinary and the rich and famous. We rejoice at his triumphs, laugh at his blunders and cry at his unflinchingly honest depiction of personal tragedy.